The mind that brought you Bisection, Facelifter, and Shock FX presents a new collection of offbeat magic. CUP-O-JOE-MAMA: Magic beans and a paper bag equals a quick pick-me-upper SCISSORS: A shock effect that can be presented on a moment's notice. BUCKET HEAD: The trick that will have your audience asking, "Why is there a bucket on the magician's head?" and more importantly, Where did all that water come from?" SNEEZE: Blow your nose and make a brick appear. Inside front and back cover have marks from tape holding clear plastic cover. 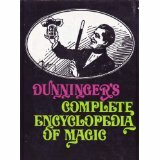 Amaze and amuse friends and family with these hundreds of tricks, all presented by a master magician. 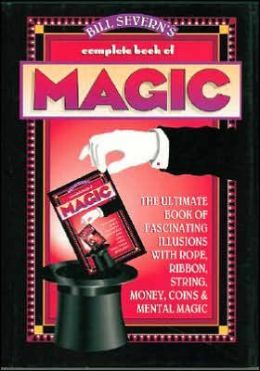 Ranging from basics for beginners to more sophisticated illusions, this magical compendium covers everything from sleight of hand with ropes, ribbons, and strings to mind-boggling adventures in mind-reading. Most require little or no equipment--just minor props and a little preparation. And more than 350 detailed line drawings provide a close-up view of every move you need to make. Perform some quick switches with coins and dollar bills. Stun everyone by predicting what the highest bid will be on a gift package you've auctioned off. Tie an "impossible knot." It's loads of fun for you and your audience. Whether your a seasoned performer or just thinking about taking your act on the road you will definitely find tons of tested tricks and tips helping to make your next trip a breeze! A must have for any level performer! Puck is an Executive Platinum Member with American Airlines. This manuscript was written from years of experience traveling over 100,000 miles per year entertaining on the road. Here is what's covered: - Info on Passports and Global Entry Programs - Prop Cases - Travel tables - Proper Suitcases and Garment Bags - Portable Sound Systems - Shipping props domestic and international - Commercial Invoices - Complete Airline info to include frequent flyer programs - Navigating airlines, security, and customs - Traveling with animals - - Keeping yourself entertained on the road. This was written primarily for US performers. 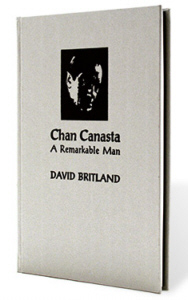 BK45725 CHAN CANASTA - A REMARKABLE MAN - H/C - This was the first book in the series and it caused a complete sensation. We sold out but our printers found several boxes that they had forgotten to deliver to us. So we are back in stock now. This book attracted a great deal of attention and many wonderful feature reviews. For example Peter Zenner: Martin, has excelled himself with the production values. It looks beautiful; maybe it is the most attractive looking book I have ever seen. If you are interested in Canasta then you will have to buy the book. Bob Gill: I'm not sure that there have been other books quite like this. You know those reviews you read which say of novels, 'I couldn't put it down 'til I'd read it through from cover to cover'? Well, I'll cheerfully admit to devouring this volume at one sitting until well into the early hours; it's it a comparative rarity in contemporary magic publishing: a rattling good read. Sal Franchino (USA): It is superbly produced. Each effect has been detailed in COMIC BOOK format. You actually see the effect performed on the page. In addition the entire booklet has been printed in FULL COLOR. Contents: Divine Number* - A very "hands off" Serial Number Divination. - A Sound Change - Identify how much change is simply shaken to your ear. - Rain King - Memorize a deck of cards in 30 seconds. Cards are chosen and returned to the pack. One card appears under the card case but, it's the wrong card. With a snap, anoth er card appears under the case and this time, it IS a selection! Then, the first â¬Üwrong' card changes into a selection and finally the whole deck appears under the card case except for the final selection! his unique artistic skills with a fun and funny take on the classic "Oscar" trick with "Oscar Th e Grouch." - Thomas Baxter make Dunbury (and Charlie Miller) proud with "Delusional." Have You Ever Been Asked The Question: Can you do that trick where that guy threw the deck at the window and their card was on the other side Well now here is the answer, a simple plot in which a torn corner of a signed card can be found anywhere you want that includes the other side of a window! From the creative mind of Ben Williams comes THREE brand new easy to do, high impact card tricks involving the torn corners of signed cards. BK41460 STREET MAGIC MAGAZINE - AUG/SEPT 2007 ISSUE - This is a Bi-Monthly Magic Magazine and in every issue there is an incredible amount of valuable content. We are here to provoke intelligent thought, logical discourse, and to positively influence magicians of all levels into thinking outside the proverbial "magic" box, and start pushing our art to the next level. Stephen Bargatze makes a kid a winner but still comes out on top in "I Hate Kids." Jason Dean convinces us in a different way with "A Non-Convincing Control." Donny Orbit offers a Joker who has the last laugh in "Jokes On You." Bill Citino offers a three-for-three coin transposition with "Trading Places." BK41342 SCROLLS - marvelous, wonderful and secret things were written upon them. Now, a new kind of Scroll. Scrolls is about magic. Scrolls is about story telling. Scrolls is about The Authors efforts, thoughts and journeys into the world of Bizarre Magic. 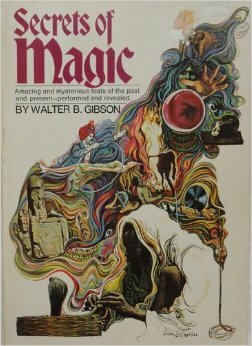 To the author, Bizarre Magic is about story telling. Its about using a combination of magic and stories to produce a feeling. Contained in these pages are some of Tims routines, articles and obsessions. You will not really find anything in the way of new moves or innovative handling. If anything, you will find that handlings are as simple as possible and even very close to the moves you find described in the store-bought instructions. 220 pages of text with 20 pages of color photographs interspersed throughout. This handbook for doves is a must for anyone using birds in their act. It includes dove care and feeding, traveling techniques with doves, training doves and dove pockets and positions. Many nice illustrations including: dove pockets and positions, sleeve enlargements, tail pockets. Also included is a step - by - step breakdown of Tony Clark's five week return flight dove training program.